Positioned at an elevation of 1352mts above sea level, Uttarkashi is a place 93kms away from Gangotri and is a charming must-to-explore destination. Uttarkashi is strongly connected via roads and provides smooth and swift traveling exeperince to all important destinations of Uttarakhand. On the banks of holy river Bhagirathi, Uttarkashi doles out a splendid view. Furthermore, National Institute for Mountaineering is also situated here which offers various training courses in mountaineering and climbing. This fresh water lake is one of the finest sites around Gangotri. The lake flows at a height of 3,037mts above sea level and is surrounded by dense forest of Deodar, Oak and Rhododendrons. 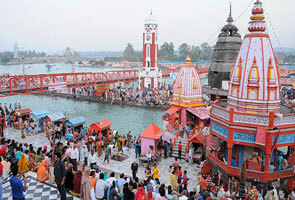 It is said that Lord Ganesha was born on the banks of this lake. Depth of this lake is still a mystery. In adittion, the beginning point of 18kms long trek of Dodi tal trek is Agoga. Entire trekking remains a funfilled experiences with beautiful sites to explore enroute. Way to Kedal Tal involves difficult trekking of 14kms that commences from Gangotri. Best about Kedar Tal is its clean and clear waters that mirrors the reflection of snow laden Himalayan peaks. En route Kedar Tal trekking, the maximum height one may encounter is astounding i.e. 4,219mts. The lake flows at the height of 4,225mts above sea level with magnificent Thalay sagar running alongside, doling out impeccable experience. On the way to Gangotri, 47kms before is a place known as Gangnani. It is known for its thermal spring. People bathe in the thermal spring to wash away their sins afore heading for Gangotri. 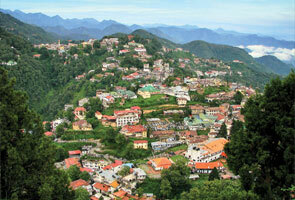 Having plentiful scope for natural beauty, Harsil is an emerald of Uttarakhand. 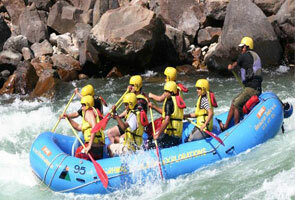 It is a perfect destination for adventure lovers. 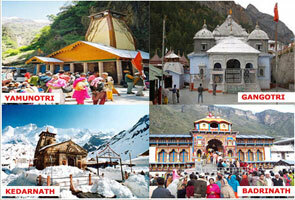 Harsil is located on the banks of river Bhagirathi and is 2,620mts above sea level. Total distance from Gangotri to Harsil is 21kms. One can plan for a easy and short trek from Harsil to Shattal.